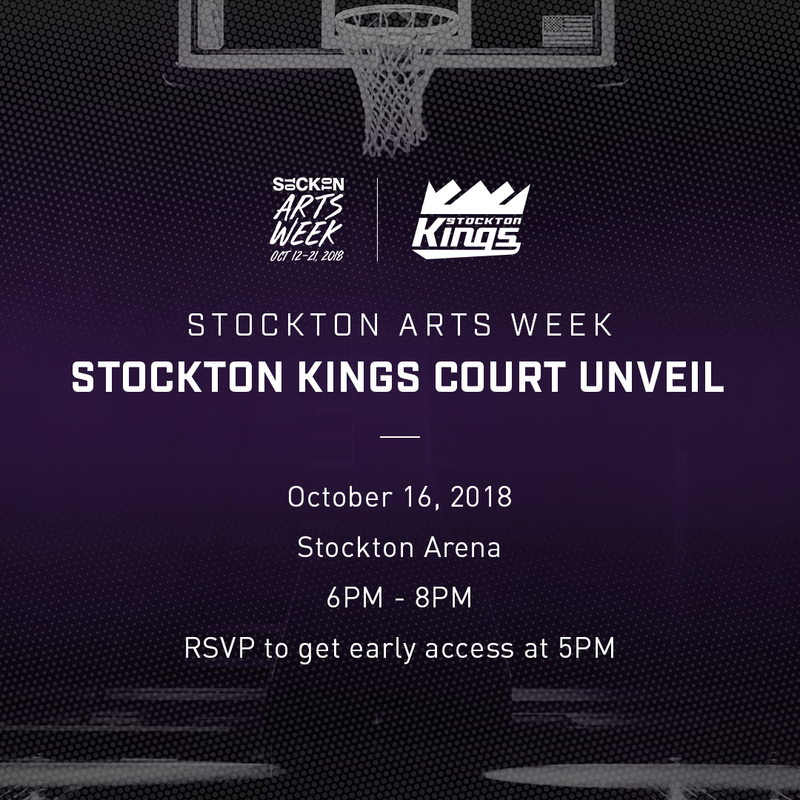 Join the Stockton Kings at the Stockton Arena as they unveil the 2018-2019 inaugural court to celebrate Stockton Arts Week! No ticket needed! As part of Stockton Arts week, the Stockton Kings will unveil the city's newest piece of art at Stockton Arena. RSVP to get in an hour early and learn more about Season Ticket Memberships. General Public will be granted access at 6:00 p.m.
Additionally, there will be local artists' Stockton Kings Court interpretations featured at the unveiling.